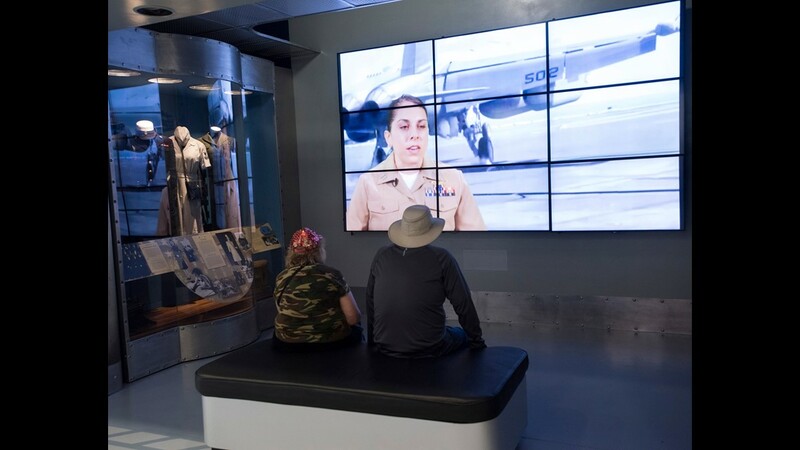 Patty and Michael Jarrell, of Naperville, Ill, learn more about female Naval aviators during their visit to the Nation Naval Aviation Museum on board Pensacola Naval Air Station, Tuesday, April 24, 2018. 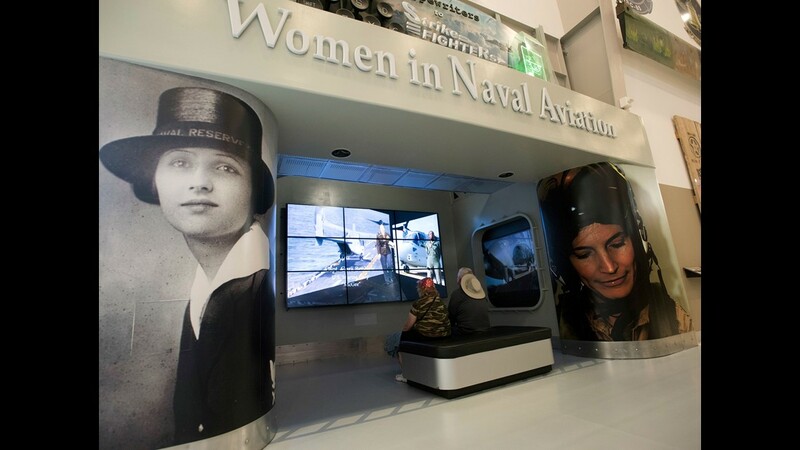 Visitors to the National Naval Aviation Museum onboard Pensacola Naval Air Station can learn more about the roles of women in Naval aviation by its exhibit dedicated to females in air service. Lt. Ashley Hallford walks back to the hangar at Naval Air Station Whiting Field in Milton, Florida on Thursday, May 3, 2018. Hallford is a Naval aviator and a primary flight instructor. 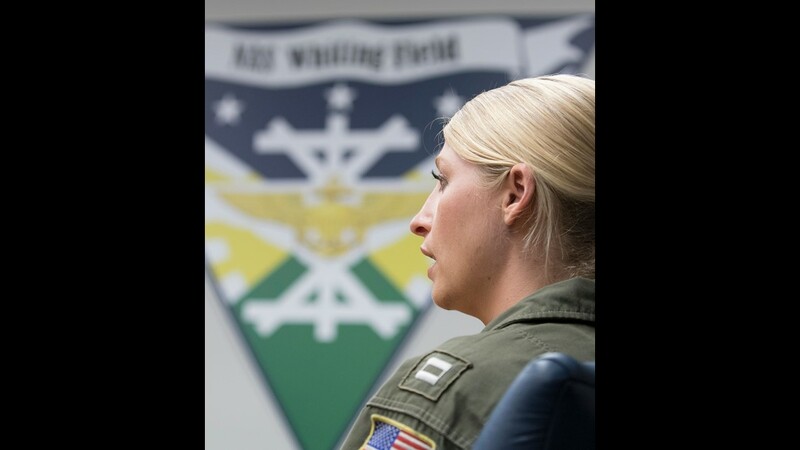 Lt. Ashley Hallford talks about her experience as a Naval aviator and a primary flight instructor at Naval Air Station Whiting Field in Milton, Florida on Thursday, May 3, 2018. 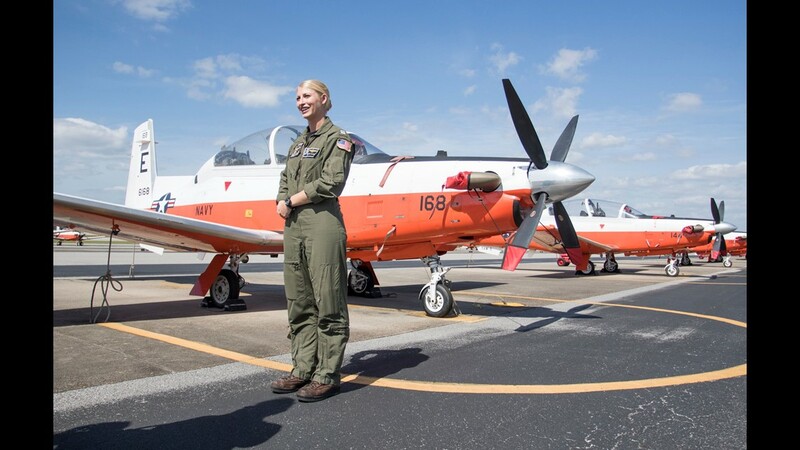 Lt. Ashley Hallford, stands in front of a T-6B Texan aircraft, as she talks about her experience as a Naval aviator and a primary flight instructor at Naval Air Station Whiting Field in Milton, Florida on Thursday, May 3, 2018. Lt. Ashley Hallford climbs into a T-6B Texan aircraft at Naval Air Station Whiting Field in Milton, Florida on Thursday, May 3, 2018. Hallford is a Naval aviator and a primary flight instructor. Lt. Ashley Hallford sits in the cockpit of a T-6B Texan aircraft at Naval Air Station Whiting Field in Milton, Florida on Thursday, May 3, 2018. Hallford is a Naval aviator and a primary flight instructor. With an engine out, passengers injured and a depressurized cabin, Southwest Airlines pilot Tammie Jo Shults spoke to air traffic control in Philadelphia. "We have, uh, part of the aircraft missing, so we're gonna need to slow down a bit," Shults told controllers during the April 17 incident. "Could you have the medical meet us there on the runway, as well? We've got, uh, injured passengers," she later said, her voice never hinting at the chaos unfolding around her. Jennifer Riordan, the passenger closest to the blown engine, died when she was partially sucked out of the plane through a broken window. Other passengers were at risk with a limited oxygen supply at high altitude. Shults and her copilot later made what experts have called a textbook emergency landing. As the 144 passengers on the New York to San Francisco route credited her with saving their lives, much of the worldwide news audience was surprised to learn the hero pilot was a 56-year-old wife and mother. Women account for only about 5 percent of all commercial pilots, said Connie Sheehan, a professor of sociology and women's studies at the University of Florida, who listened to a recording of Shults' conversation with the Philadelphia tower. "I think the fact that people were surprised about how calm she was, that taps into the gender stereotypes that we have," Sheehan said. "She was so matter of fact, she didn't fit the stereotype at all." 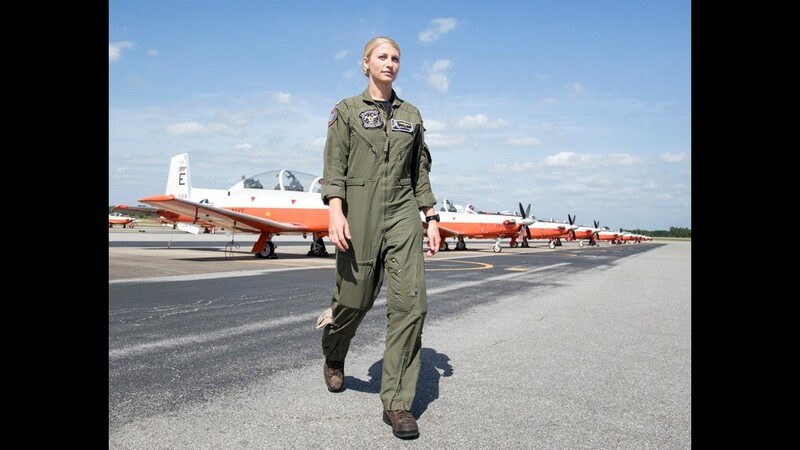 Shults comes from an elite community of female military aviators who have been busting gender stereotypes for generations. She served in the U.S. Navy from 1983 to 1993 and was one of the first women to fly the F/A 18 Hornet fighter jet. Jane O'Dea was among those cheering Shults for her well-executed emergency landing. "It didn't surprise me that she was a good pilot because the Navy trains good aviators. I just thought it was kind of cool," said O'Dea, who was part of a trail-blazing group of women from 1974 who were the first to earn their coveted Navy flight wings. 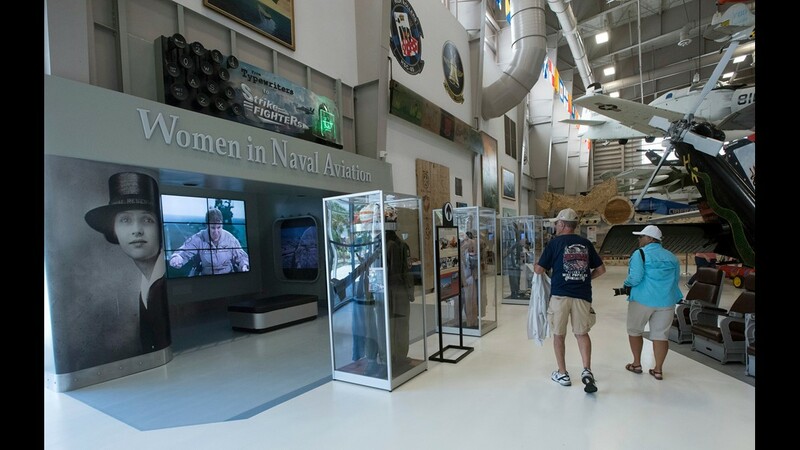 O'Dea's flight suit is on display in Pensacola's National Naval Aviation Museum's Women in Naval Aviation exhibit. Even though women are still a small percentage of commercial and military aviators, they are more accepted now than ever before, said O'Dea, 68. "Women are getting more commonplace in aviation, but there are still people out there who are not aware that women are having viable careers in aviation. I think the flying public, they are kind of oblivious to who is in the cockpit unless something goes wrong," said O'Dea, who was among the first women to successfully take off and land on an aircraft carrier — one of the ultimate challenges in all of aviation. O'Dea points to a 1975 Stars and Stripes newspaper article when describing some of the issues she faced trying to fit in to the almost exclusively male world of Naval aviation. The article, which focused on her work as a pilot supplying the Navy's 6th Fleet from Rota, Spain, called her the "Go-Go Airline girl." The planes that supplied the 6th fleet were informally called the "Go-Go Airline" by sailors. The article described O'Dea, who was then known by her maiden name of Skiles, as "young, 24, pretty and a girl you might try to impress if you saw her sitting in the officers' club in anything but her decidedly unglamorous trousered Navy-blue uniform." "Before I knew it, I became the Go-Go Airline girl," said O'Dea, who retired from the Navy as a captain in 1997. During her time in the Navy, O'Dea said attitudes about female pilots "went from open hostility to grudging acceptance." "It came down to the fact that either you could fly the airplane or you couldn't, they were not going to let you fly if you couldn't do it," she said. Lt. Ashley Hallford, 30, a flight instructor at Whiting Field Naval Air Station in Milton,laughed as she read the 1975 article about O'Dea. "That wouldn't fly today," she said of the writer's descriptions of O'Dea. 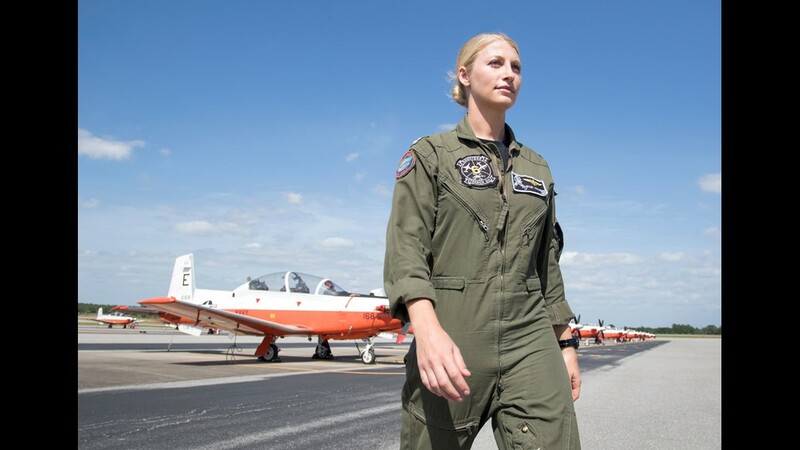 Hallford, who earned her Navy flight wings in 2012, has flown with other women throughout her career. Hallford is a Seahawk helicopter pilot who trains flight students in the Navy's T-6 B training aircraft. "In my experience, I have always just been another pilot. 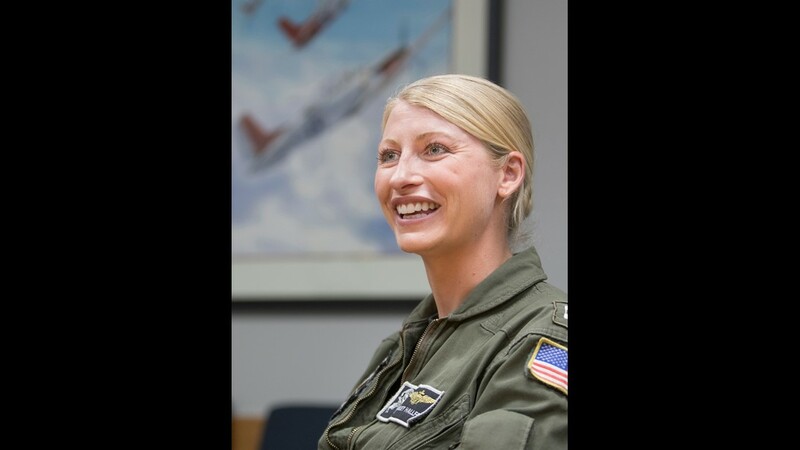 (Female pilots) have gotten so common that no one makes a big deal about it," said Hallford, who credited O'Dea for breaking through barriers and opening the path for other women. Hallford had a special interest in Shults, both as a fellow Navy aviator and because Hallford's father is a longtime Southwest Airlines pilot and former Navy aviator. "She was so calm and collected. She knew what she was doing, but that's what the Navy teaches," said Hallford, who said she and other instructors teach students to put aside anything that is not directly related to flying the aircraft when they are in the cockpit. "From the beginning of flight school, you have briefings about how to do that," she said. According to the Navy, 765 female pilots make up slightly less than 7 percent of all Navy pilots today. Eglin Air Force Base trains pilots to fly the F-35 Joint Strike Fighter, the world's most advanced fighter jet. 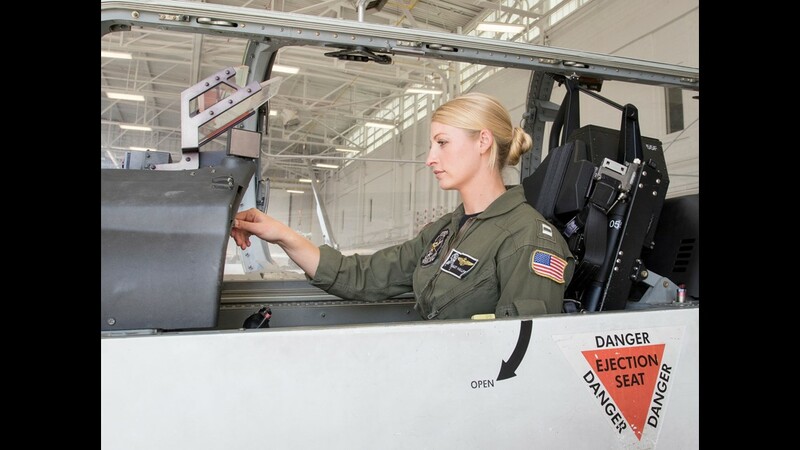 The base said it does not have any female instructors or students in the F-35 program now, but that one of its former instructor pilots, who has since left the military, was a woman. One active-duty Air Force pilot flying the F-35 is a woman and another female reservist is scheduled to receive F-35 training, the Air Force said. Pensacola's SkyWarrior Flight Training trains former military pilots to fly for commercial airlines. SkyWarrior also trains civilian pilots. Greg Sigler, the company's vice president, said only a handful of the school's students are women. 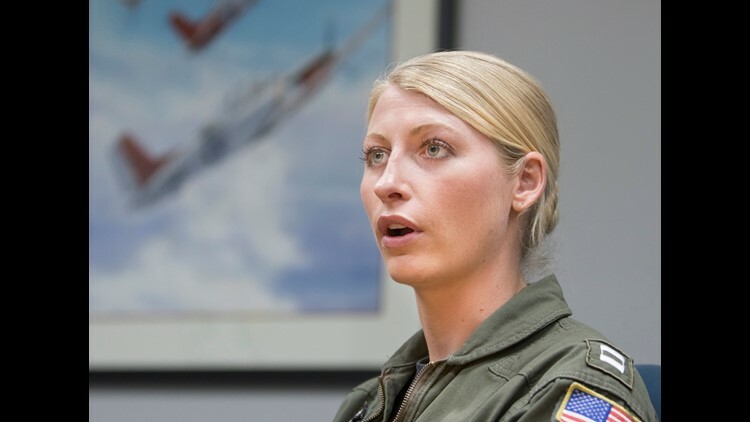 "We have one or two in the pipeline right now, but it is nowhere near the amount of male students we have," said Sigler, who added that Shults was the talk of the flight school the day news broke about her the emergency landing in the 737. "The military folks get really solid training. They are asked to do things in high-stress situations, especially the people who land on aircraft carriers. It wasn't surprising that she came out of the Navy," he said. Also cheering Shults was retired Navy Capt. Sterling Gilliam, director of the National Naval Aviation Museum, who amassed more than 4,600 flight hours in 22 different naval aircraft and completed more than 1,300 aircraft carrier landings in his 27-year naval career. "It is less about gender and more about the training that naval aviators receive. When I heard a former naval aviator dealt with an aircraft emergency with calmness and clinical precision, that didn't surprise me," he said. Gilliam, who has also listened to recordings of Shults' communications with the Philadelphia tower, said she exhibited compartmentalization, a crucial part of Navy training. "You focus on the task at hand and nothing else. When you carrier land, you have to block out everything but you and the airplane and the aircraft carrier," he said. Gilliam's career encompassed the 1993 lifting of the ban that previously prohibited women from flying in combat roles. The change meant women were flying in combat squadrons on aircraft carriers with men. "The flight deck of an aircraft carrier does not recognize gender, the ramp is gender neutral and the flight deck is gender neutral, it is about a threshold of performance that you have to meet. The females go through exactly the same training as the males do," he said. 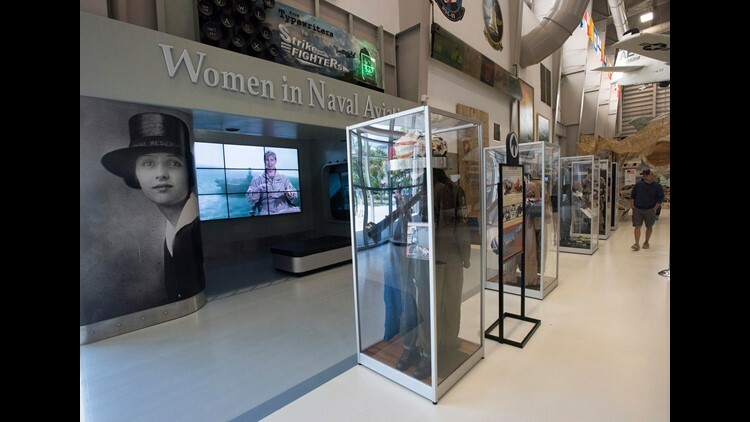 Before the military allowed women to fly in combat, many female aviators left the military before reaching the highest ranks, said Hill Goodspeed, the museum historian. The prohibition kept female aviators from attaining the career goals they needed to meet to advance, Goodspeed said. In the last two decades, a handful of females have become the highest ranking military officers. Rear Adm. Sarah Joyner, head of the Navy's Physiological Episode Action Team, made history in 2013 as the first woman to command a carrier wing. Sarah Myers, a professor at St. Francis University in Loretto, Pennsylvania, is writing a book about women who flew during World War II. Part of Myers' book is about the crushing disappointment the women experienced when they were kicked out of the military in 1944. "The WASP (Women Air Force Service Pilots) program was shut down by Congress in a bill that labeled them as civilian and not military," she said. Although 1,074 flew military transport missions in the United States during the war and 38 died while serving their country, they were not considered military veterans until Congress changed their status in 1977. 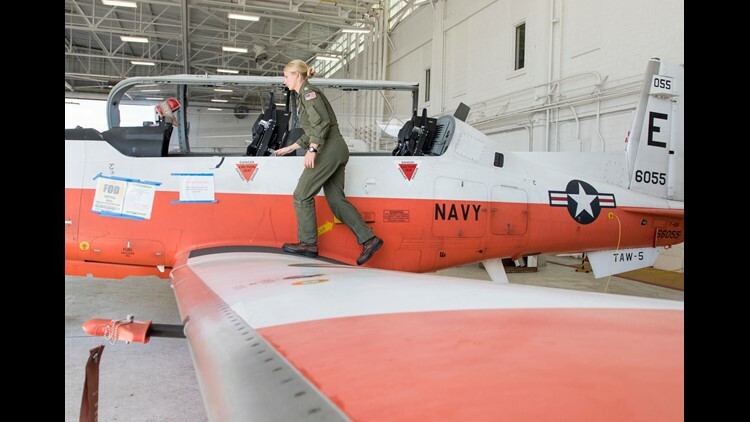 "In the mid 1970s, when the Navy started to allow female pilots, it was a big deal because they were fist women to earn military flying status since the WASPs," she said. 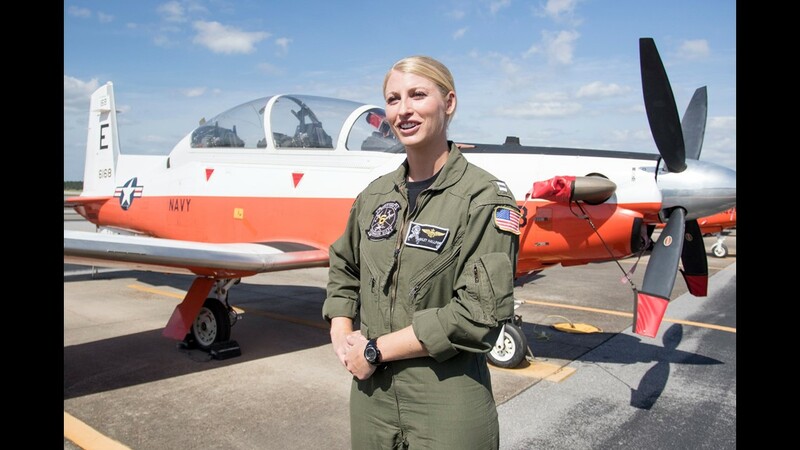 "Because women were largely excluded from (military) flying in those middle decades, it means you still have a small number in the military and a small number in commercial airlines," she said. Shults wrote about herself in one chapter of the 2012 book "Military Fly Moms" by Linda Maloney. After graduating from high school in 1979, Shults said she wanted to learn to fly. The Air Force turned her down. "I did not understand how I could have such an interest in flying, not a passing infatuation but a real desire, and yet have no way of trying out my wings." She was later accepted into the Navy and enrolled in flight school at Pensacola Naval Air Station in 1983. "I hoped God had given me an interest in flying for a reason," Shults wrote in the book.